Relates to an Event. Item should also be listed in the upcoming events. Eleven members of the Vermillion Community Club met Monday night, Dec 14, for the Christmas Party. Timmy Lee served turkey, dressing and the trimmings. Janie Stowell brought the dessert. After the reading of the November minutes, Pancake Day report and business meeting the group enjoyed a fun gift exchange. Todd, Brandi, Landon and Taylor Gaddis of Topeka visited Thelma Gaddis on Sunday December 20. Jim and Lois Jean Harper joined them and all enjoyed dinner at the Windmill Inn. The dinner was in honor of Thelma’s 93 birthday. The Lee family Christmas was celebrated Saturday, December 19. Those attending were Jim and Janet Cornelison, Jimmy and Dyan Cornelison family, Tami and William Buddenbender family, Ron and Laci Cornelison and family, Ron and Vicki Lee, Rhonda and Tony Trimble family, Macy Parker, Josh Lee and boys, Mandy and David Valburg family, Joy and Steve Ensley, Hallie Beadsley and boys, Michael and Jessica Reilly and Nola, Bob Lee and family and Grace Norsinger and McKenzie Kraut. They came a from as far as Florida, North Carolina, Pennsylvania and Missouri. The Christmas Eve Program will be held at the Vermillion Christian Church on Thursday evening at 7:00 pm. The community is invited to attend. Well wishes and candy will be given to the children after the program. The Vermillion Library will be closed on December 26th. A Lunch and tour were enjoyed Friday, December 11, at Lynn Schafer’s home by Vickie Lee and Rhonda Trimble of Blue Rapids, and Timmy Lee of Vermillion. Saturday guest at the Lynn Schafer home were Gary Zuber and Chris Norton of Kansas City. They enjoyed lunch and an afternoon visit. New DVD’s on the desk at the Vermillion Public Library are: Mr. Holmes, Restless, Little Boy, Where Hope Grows, The Incredible Hulk, Igor, Hotel Transylvania, Terminator: Genisys, 90 minutes, Toy Story that time forgot, The Man From U.N.C.L.E., I, Robot, Creation, Rambo & The Miracle of the Cards. Come in and look them over. There is no charge for checking out the DVD’s. Nine Tops members weighed in and all stayed for the meting on Monday evening, December 7. Martha Thompson won the calendar drawing. Janet Ronnebaum earned the diet basket. Mary Johnson lost the most weight in November. After the meeting all enjoyed Christmas snacks and a white elephant gift exchange. Todd Gaddis of Topeka visited Thelma Gaddis on Tuesday December 8th. He had lunch with Grandma. Lois Jean Harper also visited later. Nine Hotsie Totsie Red Hat ladies and three guest enjoyed their Christmas supper at the Corn Crib Friday evening December 9. Also had our regular gift exchange. Guest were Charlie Ross, Lyle Wenzl and Jim Harper. Seven Tops members weighed in and they all stayed for the meeting Monday evening, November 23. Lois Jean Harper earned the diet basket. Janet Ronnebaum read an article on “Little Spice Is Life Saved”. Jennifer Raub had the program on “Ten Ways to Regroup After a Set Back”. The funeral service for Robert Polson was held at the Vermillion Christian Church on Wed. morning, November 25. Internment was held at the Vermillion Cemetery and the noon lunch was held at the Vermillion school building. Robert “Bob” and Sharon had been married for forty seven years. He will be missed by family, neighbors and friends. Mable White and most of her family had a bountiful Thanksgiving dinner at Gail Whites home in Fairview, KS. It rained going and coming but didn’t get slick. Troy Gaddis of Topeka and Lois Jean Harper and Thelma Gaddis enjoyed Thanksgiving Day at the home of Todd, Brandi, Landon and Taylor Gaddis in Topeka. Guest at the home of Bill and Audrey Broxterman over the icy Thanksgiving holidays were Dawn and Craig Spencer of Franktown, CO, Kiley and Michael Floren and Dylan Spencer of Greeley, CO., Lily and Cayden Beckenhauer of Beatrice, NE. and Curt and Tonya Beckenhauer of Lincoln, NE. Dawn and Craig spent Tues. evening through Fri. in Vermillion and on Sat. they drove to Columbia, MO arriving in time to greet their first grandson Craig Lincoln, who was born at 8:30 pm Sat. evening. A seventieth birthday celebration for Lynn Schafer was held Saturday evening at The Schafer House in Vermillion. A delicious potluck supper followed by dessert was enjoyed by around fifty guests who braved the icy roads to attend. Included among guests were Pat and Bill Byrnes from New Harbor, Maine; Lynn’s daughter Hollyanna, husband Woody, and children Elsa and Sawyer from Breckenridge, CO; and Lynn’s son Corey Haskin and Caramarie Gibson from Kansas City. Lynn thanks everyone for their thoughtful cards, good wishes, creative food dishes and a wonderful party! Due to the icy conditions no church services were held at the Christian Church in Vermillion Sunday morning. Nine Tops members weighed in and all stayed for the meeting Monday evening, October 26. Janet Ronnabaum earned the diet basket. Our contest ended with Jessica Wroach losing the most weight. Jennifer Raub had the program on “Roasting Vegetables. On December 7 we will have snacks for our Christmas party. Thelma Gaddis had lunch with Lynn Loughary of Kansas City, Ks and Norman and Joyce Loughary on Sunday, November 1 in celebration of Joyce’s birthday. Todd, Brandi, Landon and Taylor of Topeka and Lois Jean and Jim Harper visited Thelma Gaddis on Sunday afternoon, November 1. The Vermillion Library will hold its November meeting on the 4th. At 6:00 pm. on November 9, the Friends of the Vermillion Community (FoVC.Inc.) will hold its fall potluck supper followed by the semi annual meeting. Todd, Brandi, Landon and Taylor Gaddis of Topeka, Darrius and Judy Plantz of Georgetown, TX, Troy Miller of Phoenix, AR, Norman and Joyce Loughary and Lois Jean Harper were Wednesday afternoon visitors of Thelma Gaddis. Keith and Chris Lippert of Topeka visited Thelma Gaddis Saturday afternoon. Lois Jean Harper and Thelma Gaddis visited Todd, Brandi, Landon and Taylor Gaddis in Topeka Sunday afternoon. Keith Berry of Lucas IA visited Mabel White on Wednesday, October 21. The Vermillion Community Church services was well attended Sunday, October 25th followed by a delicious pot-luck dinner. This will be the last service held at the Community Church until April of 2016. However, the church may be used for various services upon request. Vermillion Christian Church services continue to be held at 10:30 a.m. weekly and all are welcome to attend. Remember, it’s only because of the support of the community and the surrounding area that our local churches continue to hold services. Faith, trust and communion with others is essential in building and strengthening ones family. It is hoped that you will find the presence of the Lord Jesus Christ very real during the worship service. The Vermillion Public Library will hold it’s November meeting on November 4th. Anyone interested in the Library’s services is invited to attend. The NCKL book van was here on October 22 and there are new books on the shelves. 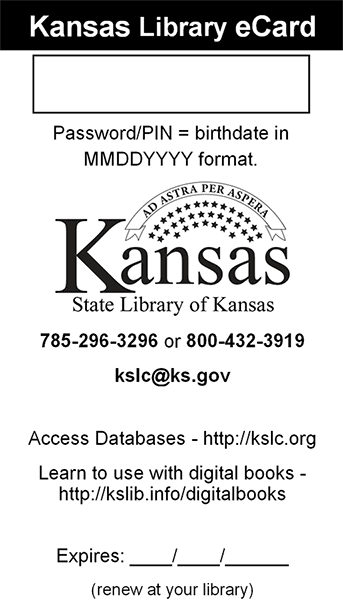 Stop by and check several out or ask the librarian what interesting books or DVD’s are available. We have new 2015 books on the shelves. Plan to bring your children by the library from 9-11:30 on Saturday morning for a nice Halloween treat. Plans are being made to hold the fall Friends of the Vermillion Community, Inc. meeting in November, so watch for the time and date. Timmy Lee opened the Lee’s Cafe on September 1, 1970. Dinners served cost $1.00 and the Cafe was open on Sunday’s, sometimes serving as many as 100 customers on Sunday morning. The Cafe is still open early each week day morning and closes at 9 am. Some breakfast orders are taken, but mostly, the community gathers at the cafe for coffee and visiting. Marylyn and Lyle Wenzl and Lynn Schafer help some with the serving of meals. Guest from as far away as Pennsylvania, Florida, South Dakota and California visit their family and friends and stop by the cafe for breakfast and or coffee on occasion. The Vermillion Community Club still has it’s monthly meeting at the Cafe with supper being served by Timmy. Timmy is the Secretary of the Club. Friends of Rosalie (Timmy) Lee surprised Timmy by hosting a coffee cake and coffee celebration honoring the 45th Anniversary of Lee’s Cafe. Flowers were sent by the First Heritage Bank of Vermilion and Dale Shirley in honor of the celebration. A framed collage of pictures and write ups of past interviews from local newspapers was presented to Timmy. All of the friends in Vermillion appreciate the effort Timmy has made in keeping the cafe open to the public all of these years. Bill and Audrey Broxterman spent September 11 to 13 in Lincoln, NE where they helped celebrate the wedding of their grandson, Dustin Alan Beckenhauer to Carrie Arlene Sensibaugh. The wedding took place at Pioneer Park in Lincoln with the reception being held in Lincoln’s Antelope Park Auld Pavilion. The couple will make their home in Beatrice, NE. Ten TOPS members weighed in and all stayed for the meeting Monday evening, August 31. Lois Jean Harper earned the diet basket. Edna Marshall had the program on “Five Habits People who successfully lost weight” and “Replacing Butter” Janet Ronnebaum read an article on “Eleven Ways to Best Mindless Eating”. Six Hotsie Totsie Red Hat ladies met at Lee’s Cafe for their regular monthly meeting on Saturday morning, September 5. Betty Wenzl furnished cake. Jan Bergman of Texas and a former member, would like to have dinner with the Club on October 20 at Freddy’s. We will go to the Border Cafe in Summerfield for supper on October 3. Larry Gaddis of Topeka visited Thelma Gaddis and Lois Jean Harper on Monday, September 7.